Deacon Roy Trader accepted Christ as his Savior in 1985. At his home church, he was active as a member of the men’s choir, an usher, youth Sunday school teacher, and co-coordinator of the outreach department. Some of the outreach programs he helped to oversee included a GED program for Adults, hot meal serving program, clothing give-away, food bank, character enrichment workshops, and many others. Educated in South Jersey where he was born, Deacon Trader was an honor student and earned membership into the Phi Theta Kappa International Honor Society for two-year colleges. Deacon Trader earned his National Trainer Certification for Restorative Justice Practices from Florida Atlantic University in 2000. He has also completed course studies through the Rutgers University Extension Program. Deacon Trader has also completed courses at the Abundant Harvest Bible Institute, and is currently continuing his degree studies at Farleigh Dickinson University. Deacon Trader has worked within the New Jersey Criminal Justice System for sixteen years. He has served as a counselor, residential facility manager, and currently serves as a program development specialist. 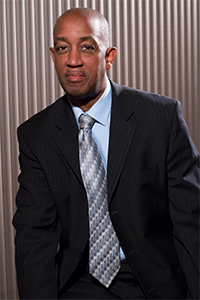 He has also served on several advisory boards and currently serves on the advisory board of the Camden (New Jersey) Neighborhood Renaissance Civic Association and Task Force. Deacon Trader became a member of Bethany Baptist Church in 1996. He immediately became active with the Men’s Ministry and continues to serve as the Assistant Chairman of that ministry. In February 2001, he was ordained as a Deacon at Bethany Baptist. Deacon Trader has assisted the Youth Ministry with social training programs that they have provided within the South Jersey community. In addition, Deacon Trader has served as the Security Manager for Bethany Baptist Church since January 2004. He was appointed as the Outreach Director of Bethany Baptist Church in January 2006. As the Outreach Director, Deacon Trader has initiated a progressive level of services that are currently being provided at nine nursing homes in the South Jersey region. The Nursing Home Ministry of Bethany Baptist Church currently provides Bible study sessions and worship services at these nursing homes, and they are providing more than 25 of these outreach activities on a monthly basis.